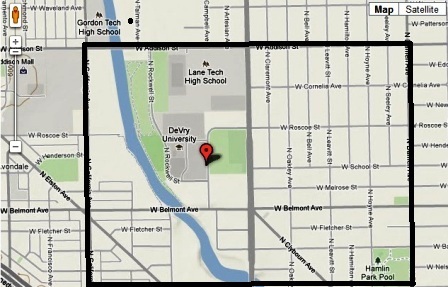 Devry High School is in a great location because it borders both the Roscoe Village AND Lakeview neighborhoods on Chicago’s North Side. Although Devry Advantage Academy has no set attendance boundaries, real estate around the school mainly consists of great vintage and some newer construction condos, and spacious detached single-family homes scattered around Roscoe Village. If you’d like more information on real estate for sale near the Devry Advantage Academy, contact Ted Guarnero at (312) 810-6693.